As a student at the University of Greenwich, you have access to a whole range of software when on campus. But how do you go about getting hold of that same software for your own PC at a reasonable cost or (preferably) free? This page aims to give you all the information you need on what to get, where to get it, how to get it and what to pay. What, where, how & how much? Before going any further I should make one point clear: I do not condone the use of pirate software. It is illegal and it's not even necessary as there are perfectly adequate open source alternatives, free and low-cost versions of the software you need. As a student, you have 3 basic options when it comes to acquiring software; open source, free educational software and low-cost educational software. In most cases, a satisfactory digital design toolkit can be assembled using a combination of all 3 and if you're on a very tight budget and don't mind a little extra legwork, it can even be done for free. The open source movement is becoming an increasingly important force in software development. In fact, it's now possible to run your entire digital design workstation (including the operating system) using only open source software. Most importantly, in recent years, the quality of open source alternatives has become at least as good as the commercial standard (the Firefox web browser for example). It's not appropriate to discuss the details of the open source software movement here so take a look at this Wikipedia article if you'd like to know more. The important thing to understand is that with few exceptions, open source software is free. Increasingly, it is becoming possible for students and non-commercial organisations to acquire full commercial versions of software for free. You may have seen software described as being "free for personal and non-commercial use". This means that if you're using the software for educational use and you don't get paid for doing what you do with it, you may use it for free. There are a number of examples of this kind of software listed below. A more recent phenomenon is the tendency for big commercial concerns like Google and Microsoft to just give stuff away for free - because they can and because they are aware of the increasing strength of the open source movement. Expect to see much more of this in the future. There is another recent trend for software developers to allow students to use their software for free. Autodesk started allowing students to download and use AutoCAD and other applications for free in 2007. Adobe Student Software - Photoshop etc. Microsoft Student Software - Office etc. See the Autodesk Student Community for free downloads of Autodesk software, including AutoCAD. You will need to register as a student using your University of Greenwich email address. This year, for the first time, students may download all current versions of AutoCAD, including plain (vanilla) AutoCAD as used in the University labs. I recommend you begin with plain version but feel free to experiment with the other versions of AutoCAD and the other software available. In all there are currently 23 applications to choose from. See here for more details. Tip: Make sure you choose the correct version of the Autodesk applications for download. All versions of AutoCAD come in both 32bit and 64bit versions. You will need to select the one that matches your version of Windows. For example, a 64bit version of AutoCAD can only be installed on a 64bit version of Windows. You can find out which version of Windows Vista you have from the Start button. Right-click on "Computer" and select "Properties". A window will display, with information about your system, including the "System type". Once you have installed AutoCAD 2010, you might like to take a look at these video tutorials for an overview of what's new in this version. Then move on to these tutorials for a good basic introduction. InterpOSe - Free download of the translator for OS MasterMap to DWG from Dotted Eyes. KeySCAPE is an add-on for AutoCAD which is specifically designed for landscape architects. One of the many things it can do is to automate the process of creating planting-plans, producing automatic schedules etc. Take a look at the full feature-list to get an idea of what's included. Best of all, KeySCAPE is free to students who are already running a student version of AutoCAD. Once you have installed AutoCAD, you can request a free version of KeySCAPE. You will need your AutoCAD serial number, which you can find on the download page at the Autodesk Student Community. SketchUp comes in 2 flavours; the free "Google" version and the commercial "Pro" version. For most people, the free version will do all that you want. The main difference between the two is the lack of the Sandbox terrain modelling tools and some 3D import/export features from the free version. Visit the Google SketchUp page for more details and download. Students who require the Pro version should download and install the trial software from the SketchUp website (this gives 8 hours of use). Sadly, there is no free student version of SketchUp Pro but an educational version is available from Studica at around £30. Google Earth is a free application that allows the viewer to see three-dimensional images of the Earth by combining aerial photographs with digital terrain data. Google Earth data can be imported into SketchUp and developed further. This year, for the first time, 3ds Max is available as a student version. The only downside is that it's a 6-month version rather than the normal 13. See the Autodesk Student Community for more details. 3ds Max Design is a version of autodesk's premium 3D application Max, specifically designed for built environment visualisations and animation. It's available as a 6-month student version from the Autodesk Student Community. Maya is also available as a 6-month student version from the Autodesk Student Community This is available from Studica at a reasonable cost and has a 13-month licence. The pack comes with a "perpetual" licence at just over £180. So, if the free 6-month versions of these applications isn't long enough for you, this is the best alternative. A powerful but free standalone renderer. Kerkythea is compatible with most common 3D file formats such as 3DS, so it can be used to create photorealistic renders from SketchUp models. Bryce is a powerful landscape generator application. It has an unusual interface but once you get used to it, it's very easy to create some amazing effects. Rendering is high quality and keyframe animation is easy to set up. Although it also includes 3D modelling tools, its real power is in the creation of environments. The current commercial version of Bryce (Bryce 7 Pro) is available at a relatively low cost ($30) from DAZ 3D but before spending your money, install the free Bryce 7 PLE (Personal Learning Edition) and take a look at what it can do. The PLE edition is available for both Mac and PC; it is a full version of the product with no watermarks etc. The only difference is that the licence permits the product to be used for non-commercial purposes only. Like Bryce, Vue is a landscape generator application. Unlike Bryce, Vue is now becoming a standard tool in the film industry where CGI landscapes are needed. The latest version, Vue 9 Pioneer is completely free and almost feature complete. The only difference between Pioneer and the full commercial version is that rendered images carry a logo (not a watermark), 3D models cannot be imported and the license is for home use only (non-commercial). However, if you like the software, you can lift these restrictions by paying around $50 for one of the theme packs. The application is available in Mac and PC (32 and 64bit) versions. Blender is probably the most impressive open source application on the planet. 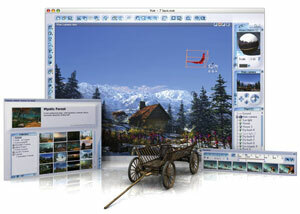 It provides professional-level functionality in 3D modelling and animation for free. Like many open source applications, it has a unique interface but this one is worth getting to grips with. Take a look at the Features & Gallery page to see what it can do. Before you spend any money on photo editing software, download and install Paint.NET and see what it can do for free. In most cases, you won't need anything else. The interface is based on Photoshop so it's familiar to anyone who's used the Adobe application, plus it works in pretty much the same way. Paint.NET is a mature and professional-looking application that's intuitive to use and provides all that most people will ever need. Obviously, GIMP uses too many acronyms for most people's liking; however it is a very powerful piece of open source software. This application is for people who want Photoshop power for free but the interface does take some getting used to if you already use Photoshop. 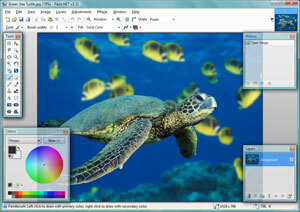 For those who need more power than Paint.NET can provide and want it for free, GIMP is for you. If you'd rather have GIMP but with a Photoshop-style interface, take a look at GIMPshop. If you simply must have Photoshop, it is available as a student version from Studica but if you are going to spend the money, you'll probably find it better to spend a little more and get Photoshop as part of the Design Premium suite, also from Studica. Inkscape is the product of another excellent open source project. It's a similar type of application to Adobe Illustrator or CorelDRAW but naturally, it's free. Sadly, there is no free student version of this product and it is probably best bought as part of the Design Premium suite from one of the educational software suppliers such as Studica. Scribus is an open source desktop publishing application for Windows and Mac, similar to Adobe In-Design. It is fully featured and well worth a look. 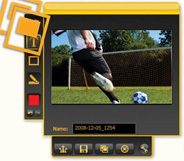 VLC media player is an open source multimedia player for various audio and video formats (MPEG-1, MPEG-2, MPEG-4, DivX, mp3, ogg, ...) as well as DVDs, VCDs, and various streaming protocols. Audacity is a free, open source application that enables you to record and edit audio. Want to make a podcast or just fade a CD track so that it fits your PowerPoint presentation? Audacity will do the job; it's easy to install, easy to use and has an intuitive (though not flashy) interface. The only minor glitch is the current lack of a MP3 encoder from the standard install because of a software patent. But that's not a problem because the LAME MP3 encoder also available as a separate free download. Notepad++ is an excellent open source text editor like Windows Notepad but specifically designed for code editing. It has many advanced features including syntax highlighting. FileZilla is an open source FTP client. It does all the things an FTP client should do and it has a hightly configurable interface. Aptana Studio is an open source development environment for the web. Essentially, it's Dreamweaver without the WYSIWYG editor. It includes coding tips, error reporting and browser compatibility checking as well as an integrated FTP client and a whole lot more. The free "Community" version is probably all you'll ever need. Firefox - The open source and standards compliant browser. 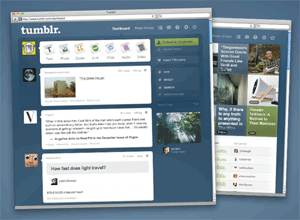 Web Developer Toolbar for Firefox - Indispensable set of browser utilities for web designers. Firebug for Firefox - Edit CSS live in a browser window; ideal for those pixel-perfect moments. HTML Validator - Simple tool that reports validation errors in the browser status bar. Pixlr Grabber - Excellent utility for capturing web pages. You can even edit them ready for posting to your blog. FireFTP - A very good alternative to FileZilla if you want to keep your FTP client neat and tidy inside Firefox. Sadly, there are no free student versions of these products and they are probably best bought as part of the Design Premium or Web Premium suites from one of the educational software suppliers such as Studica or Pugh. 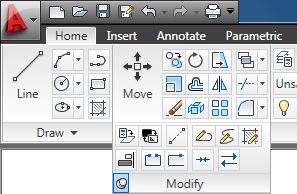 OpenOffice.org is a full-featured office suite and is completely compatible with Microsoft Office file formats. The suite contains 5 applications, Writer, a word processor, Calc, a spreadsheet, Impress, a presentation tool, Draw, for creating diagrams, and Base, a database builder and manager. OpenOffice.org could easily be used instead of Microsoft Office. So, for example, the presentation tool, Impress could be used instead of PowerPoint to build presentations and because file formats are compatible, the resulting presentation file will run in PowerPoint or Impress. The Home & Student edition of Microsoft Office is available at a reasonable cost and includes Word, Excel, PowerPoint and OneNote. There is no time restriction and it can be used for any purpose other than commercial. It is available from many suppliers, including Studica. If you want to create PDF files from AutoCAD or Word, or any other application, you'll need some software. Usually, this is Adobe Acrobat but as it's quite expensive, you may not want to buy it. A very useful alternative is Cute PDF Writer. This is a free utility that enables you to print to a PDF file from any application. We all (should) know that it's possible to make a screen capture by pressing the Print Screen button on the keyboard but what if you want more flexibility than that? What if you want just part of the screen or what if you want to capture video on screen? Well you can do all that and more with Jing. Jing is a fantastic, full-featured and free screen capture application from TechSmith (the makers of SnagIt and Camtasia Studio). Jing not only provides an easy way to capture your screen but it also includes 2GB of free online storage for your captures. 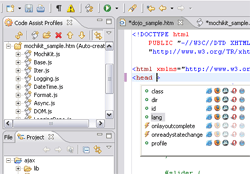 Take a look at this introduction to Jing for an overview of what it can do. In addition to the software described above, there are an increasing number of free online services available. For example, it's now possible to get 5GB of online file storage space so that you no longer need to carry your data with you between campus and home or you could just use it as a backup for important files. SkyDrive gives you an amazing 5GB of space for free and because it's online, you can access your files form any PC with an internet connection. 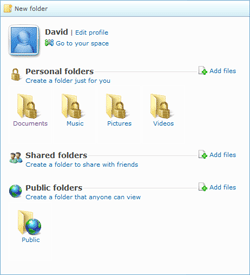 You can upload files up to 50MB in size, you can share folders with friends or make them public. The service is very simple to use and if you already have a hotmail account, you don't even need to sign-up. I love Dropbox – it's free, you get 2GB (you can pay for an upgrade if you need more) but the best thing is that it will automatically sync any files you add to your Dropbox with any number of devices. For example, I have Dropbox installed on my desktop, my laptop and my phone. Any file I create on any one of those devices will be synchronised with both the other devices automatically when added to my Dropbox. I can even upload a file from any computer to the Dropbox website and have it added to all 3 devices. Google Docs were written from the ground up as online applications; they have no offline counterparts. In some senses this is good because they need to be fully-featured (they're not a stripped-down version of something else), the downside is that you need to be connected to the Web in order to use them. On the other hand, they are incrediby versatile because they can be used from any device - even your phone. Microsoft Office Web Apps is a suite of applications (word processor, spreadsheet etc.) that can run in a browser. You'll need a Microsoft Live account to use them, but if you're using SkyDrive or Hotmail, you already have that. Don't expect full functionality, the "Web" versions of these apps have been stripped down somewhat but they are usable and they're free. We're really spoilt for choice when it comes to image editors and some of them are really impressive. I'm particularly impressed with Splashup but it's worth looking at the others too because they all have a slightly different angle. Tumblr - the new kid on the block, very hip and trendy. WordPress.com - our favourite blogging application now available as a hosted service. TypePad - hosted blogging based on the Movable Type engine. Blogger - the original hosted blogging service still going strong. Moonfruit - An impressive range of features for free and additional stuff if you pay for it. flickr - lots of space and a great deal more. YouTube - if you need a description of this one, we're in trouble!